Vintage Road Haulage is a family-owned business based in Wattleup, near the naval base, south of Perth. 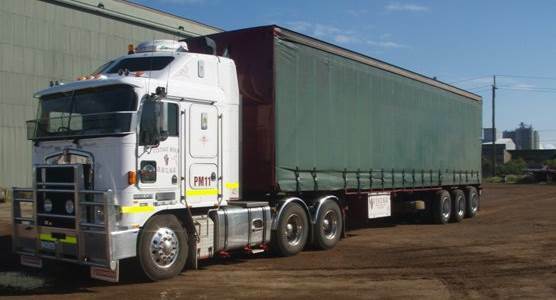 We began operations in 1994 as a bulk wine transport company, serving the rapidly growing quality wine-producing regions of WA. Our fleet of specialised tankers began to grow, while wine production remained seasonal, so we diversified into other areas of bulk transport, such as water cartage, chemicals and dangerous goods. We still serve the wine industry with our invaluable local and industry knowledge. Now we also run raw water, potable water, and demineralised water all over the state, meeting the water needs of the mining industry, manufacturing industries and farmers. We safely haul liquid and powdered chemicals from their manufacturers to their users, and have built a reputation as professional and policy-compliant handlers of corrosive, flammable, toxic and other dangerous goods. Due to our large and diverse fleet of machinery and equipment, we also lease hardstand bays for everything from prime movers to boats and caravans. We also provide ISO tank hire. 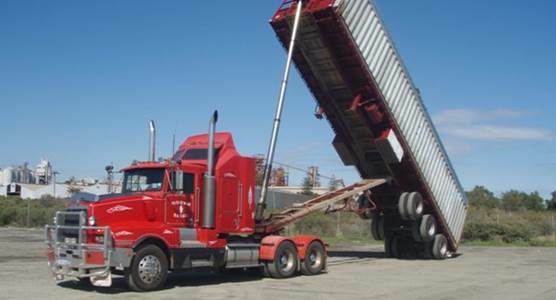 Vintage Road Haulage are a transport and distribution solution for the enormous range of haulage needs in the growing state of WA. Due to the nature of our services, Vintage Road Haulage believes that environment, health and safety takes precedence over all other business considerations. Our services require best practice in the safety of personnel, customers and the public, and in the care and concern for the environment, not to mention the reliability of our equipment. By working together with our employees, customers and suppliers we believe it is possible to achieve zero harm. We are committed to integrating Environment, Health and Safety (EHS) guidelines into our management and work practices. We fully comply with codes such as the Dangerous Good Code, and conduct hazard risk assessments, job safety analyses (JSAs), and international-standard fire prevention reporting. Our drivers are trained and experienced operators who have these safety standards in mind at all times, and the aim of all our staff is to not just to meet these standards, but exceed them.